This flavorful homemade chili seasoning is highly customizable and effortless to prepare and keep on hand for whenever that chili craving hits! I have many skills in life, but if I had a superpower it would be forgetting one essential ingredient every time I go grocery shopping. It is truly a gift. Through necessity, it has taught me to come up with my own substitutions and homemade variations of ingredients such as chili seasoning. Making your own homemade chili seasoning is easy to do in a pinch, and gives you more flexibility than using store-bought mixes. Plus, most of the ingredients are likely already in your kitchen! 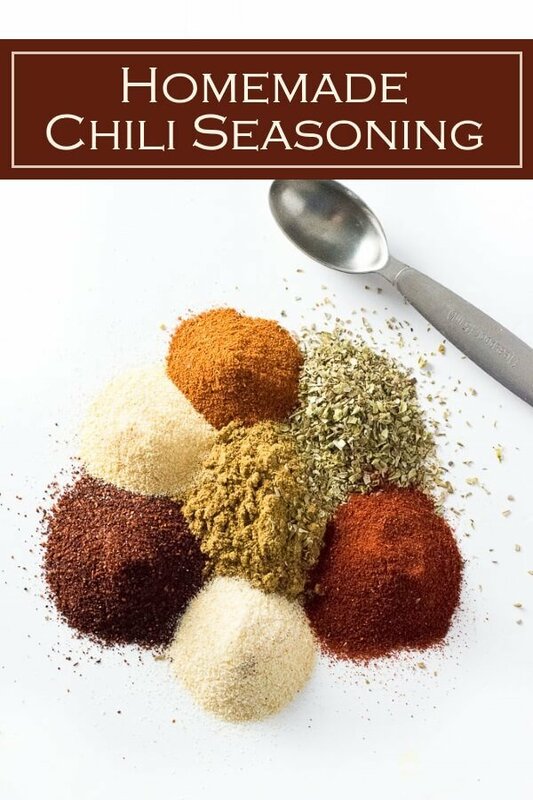 This homemade chili seasoning recipe is perfect for adding to a large pot of chili. The quantities called for in the recipe below are the ideal ratio to go along with two pounds of meat if crafting your own recipe. This is the seasoning base I use in my self-described best chili recipe, venison chili, slow cooker turkey chili, and my Midwestern themed chili with noodles. 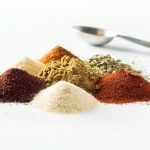 Chili powder is a robust spice blend featuring a blend of chilies with other seasonings such as paprika, oregano, cumin, garlic, and onion powder. However, the exact quantities will vary from product to product. 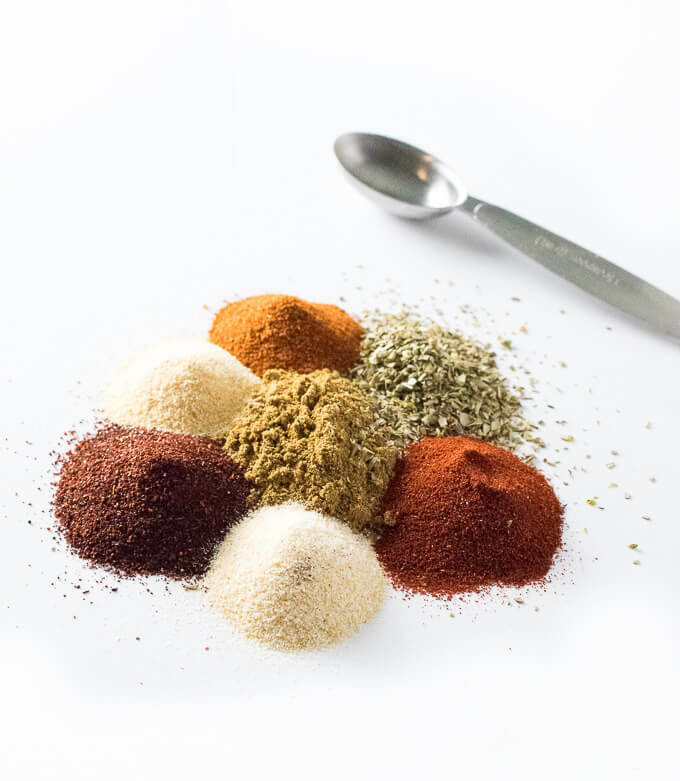 The most common chili found is chili powder is cayenne pepper. My homemade chili seasoning recipe can be used as a chili powder substitute when called for in a recipe. Honestly, I think it tastes even better than most store-bought blends. In particular, I think the addition on ancho chili powder to the mix really adds a great depth and complexity to this homemade blend. You can find ancho chili powder by the Mexican spices and seasonings in your grocery store. If for any reason you are unable to locate it, you can always omit it from the recipe. You can use my homemade chili seasoning as the primary flavoring agent for your chili recipe. Plus, the seasoning mix is well suited to be adjusted to fit your tastes. For example, I think smoked paprika adds a pleasant smokiness to the final dish, but there is no reason you could not use regular paprika instead. Feel free to add or subtract ingredient quantities to fit your family’s tastes. 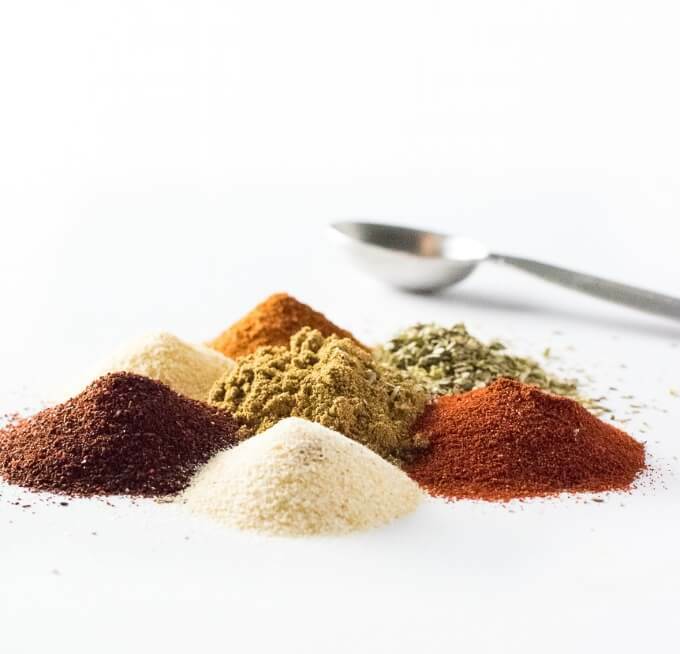 Beyond this seasoning mix, there are additional spices that can be added to chili. Salt in particular is important. I add about 1 1/2 tablespoons of kosher salt to a large pot of chili. Most recipes will also call for fresh ground pepper. The spiciness in chili is best balanced by a sweetener. Brown sugar is my sweetener of choice for most chilies. I add approximately 1 tablespoon of brown sugar to my chili. 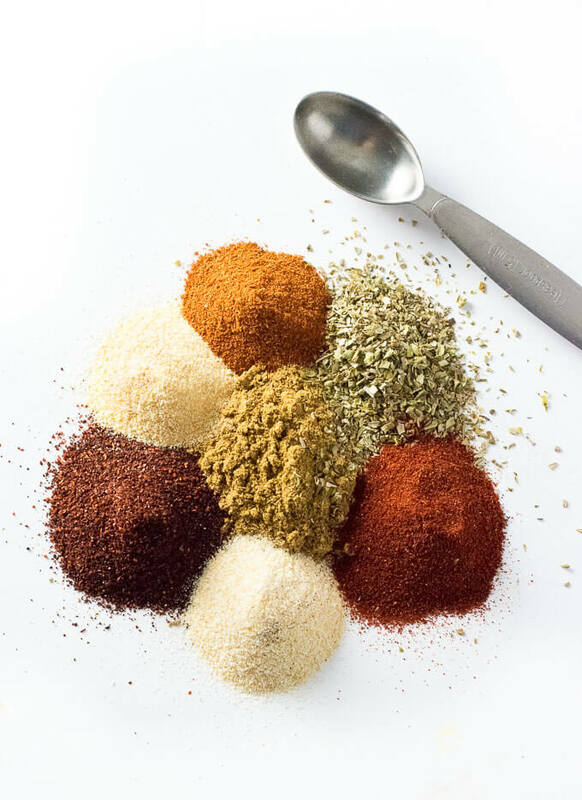 Mix all seasonings together and store in an airtight container. Makes enough chili seasonings for a recipe with two pounds of meat. IF YOU LIKE THIS RECIPE check out my Homemade Taco Seasoning as well! This was flipping fantastic! The only thing I changed was the smoked paprika. I didn’t use as much as I am not used to using smoked paprika. And it was still just as tasty!! Just like you basically implemented, this recipe is easy to modify to our taste. This is even a great recipe for anyone watching their sodium intake!! This was my first time trying a homemade chili recipe and I couldn’t be more happier! Thanks for sharing!! I am glad you enjoyed it. You are right, modifying the smoked paprika won’t ruin the recipe at all. You can even use regular paprika instead if desired.